Updated form for 2019 SLO Jazz Festival, 2019 Summer Jazz Workshop, and 2020 Spring Fest Membership - CLICK HERE TO DOWNLOAD FORM! 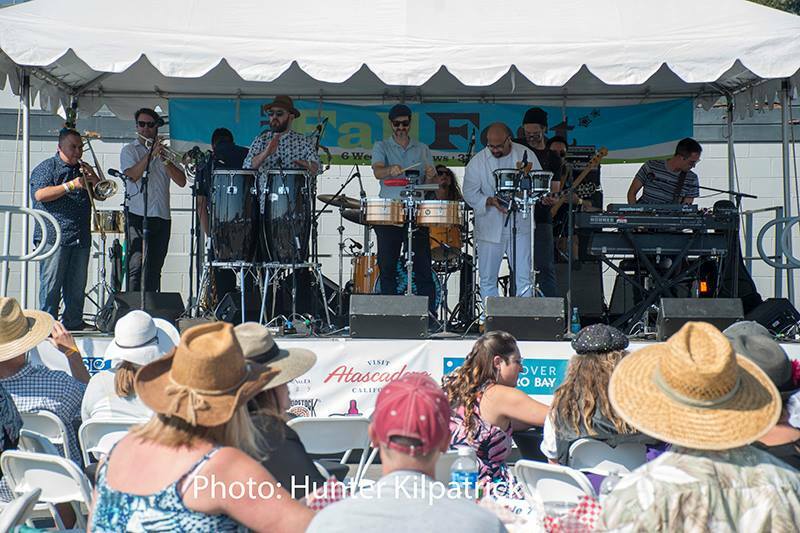 ​2019 SLO Jazz Festival, 2019 Summer Jazz Workshop, and 2020 Spring Fest Membership - CLICK HERE TO DOWNLOAD FORM! · First chance to purchase tickets for SLO Jazz Festival before public. Contact us for more details of our Legacy Giving program. Note: John Landon, our fabulously famous and wonderful artist, passed away in August 2018. Therefore, we no longer can offer "signed posters" by the artist for 2019. SLO Jazz Festival. We are seeking a new festival artist for 2020. Please note that membership in SLO Jazz Festival Society is not a voting membership for the 501(c)(3) nonprofit corporation nor is governance required or expected as a member. Consider your membership an "exclusive ticket" that is unique to SLO Jazz Festival, much like a club or other membership. We look forward to building a mutually beneficial organization that truly brings world-class jazz to San Luis Obispo on a year-round basis. MEMBERSHIPS and SPONSORS: To learn more about our sponsorships, call Scott Andrews, Executive Director, at (805) 459-6939. Email Scott at scott @ slojazzfest . org (without spaces). MEMBERSHIP COORDINATOR POSITION: open AT THIS TIME. Please email us to inquire or volunteer. 5th Annual SLO Jazz Festival — September 27-28, 2019. We hope to expand the jazz festival in 2019. We’ve grown the jazz festival from a half-day 2-stage event to full-day 4-stage event with stages for International & regional acts, a side stage for regional and local bands, a stage for college bands and high school bands. We hope to grow the jazz festival to multiple days and grow the number of stages each year. We are planning on putting on a 5th Jazz Festival. 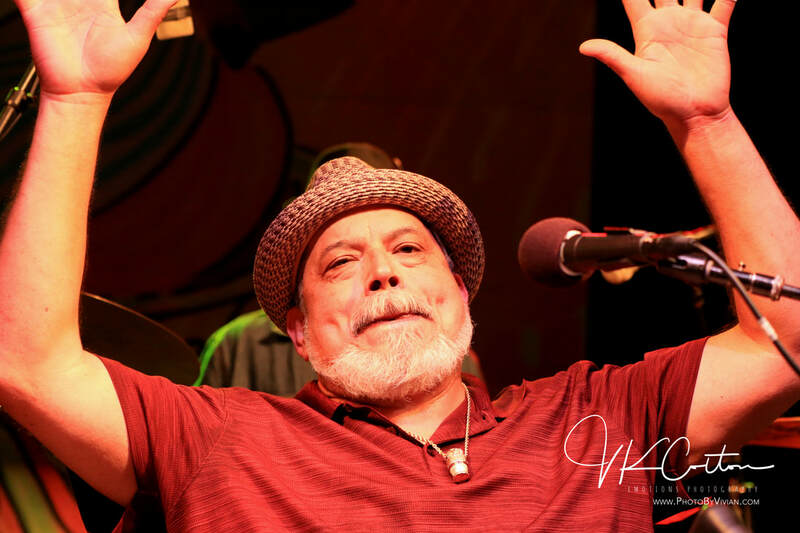 We have featured artists such as Poncho Sanchez, Charlie Hunter & Scott Amendola, Walle Schnalle, Joshua Redman, Alfredo Rodriguez, John Santos, Boogie Stomp, Lavay Smith & Her Red Hot Skillet Lickers, Airto & Eyedentity, Pete Escovedo, John Worley, Paul McCandless, and many more. Help us make it happen in 2019 with your membership application today! The 2020 Spring Salsa Festival is our newest community event, comprised of multiple salsa bands in an event designed to bring the community together. . We've raised over $10,000 for education and cancer support since 2011 and the 2020 SPRING SALSA FESTIVAL is an opportunity to do more good in the community. ​Other special events: We also have had special concerts at various points throughout the year, including Mardi Gras, New Year's Eve at Allegretto with a Tribute to Sinatra, a Blame It On The Bossa Nova brazilian party, jazz jams, and more. 2019 Summer Jazz Workshop. The Summer Jazz Workshop, a collaborative with Cuesta Jazz, Cuesta Community Programs, and SLO Jazz Festival, hope to expand to a full week and full day in 2019. We doubled our attendance in 2018 from 12 to 31 students! Our Inner Circle $5K+ memberships include sponsorship of a deserving student in 2019. Last year, we had Anton Schwartz and Danny Green as guest instructors! We are so grateful for your membership and involvement in SLO Jazz Festival - an organization who believes in delivering the finest quality music performances year-round, right here in San Luis Obispo County. ​​Please contact the SLO Jazz Festival office at 805-459-6939 with any questions. Note: SLO Jazz Festival, Inc. Membership and SLO Jazz Federation Membership are separate non-profits. Membership in SLO Jazz Federation does not include Membership in SLO Jazz Festival or tickets to SLO Jazz Festival at this time, and vice-versa. 2019 SLO Jazz Festival, 2019 Summer Jazz Workshop, and 2020 Spring Fest Membership - CLICK HERE TO DOWNLOAD FORM!